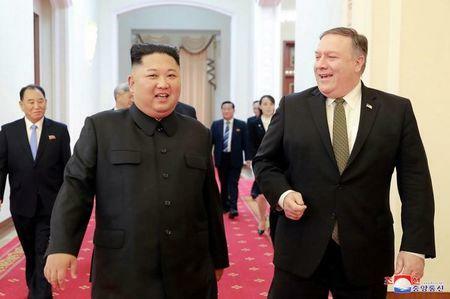 SEOUL/WASHINGTON (Reuters) - U.S. Secretary of State Mike Pompeo on Monday hailed "significant progress" in talks with North Korean leader Kim Jong Un at the weekend and said the sides were "pretty close" to agreeing details for a second summit between Kim and President Donald Trump. Trump and Kim held an historic first summit in Singapore on June 12 at which Kim pledged to work toward denuclearisation of the Korean peninsula. However, his actions have fallen short of Washington's demands for a complete inventory of its weapons and facilities and irreversible steps to give up its arsenal. 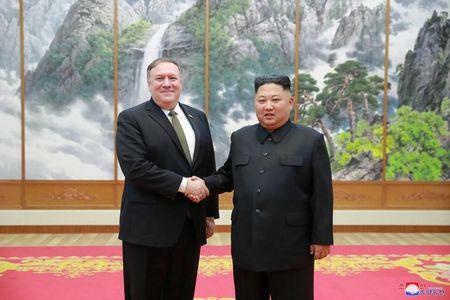 Pompeo told South Korean President Moon Jae-in on Sunday his latest trip to Pyongyang was "another step forward" to denuclearisation, but there were "many steps along the way". Pyongyang's official KCNA news agency was upbeat. 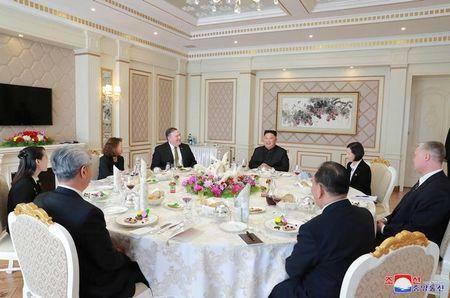 It said on Monday Kim lauded his talks with Pompeo and "explained in detail the proposals for solving the denuclearisation issue." Moon also spoke positively of Pompeo's latest meeting with Kim. He said it set up conditions for another Trump-Kim summit and help denuclearisation of the Korean peninsula.